Argentine guiso is basically a stew. The tastes can range anywhere from Irish to Italian. My mother-in-law’s guiso is a bit more Italian, with a mixture of tomato sauce, peas, and pasta. I tried to recreate it anytime my wife felt homesick early in our marriage. And since then, it’s become a staple at our house—even when we transitioned to the paleo diet. Obviously I’ve had to recreate and revise it a bit. Mainly I substitute roasted cauliflower for pasta. It makes an absolutely delicious and hearty meal. Start by preheating your oven to 450 degrees and heating a cast iron skillet on your stove at medium-high heat. 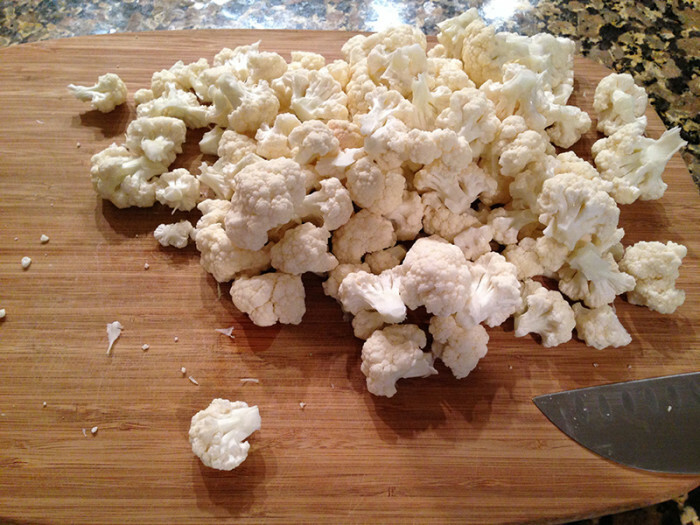 Dismantle your cauliflower into small florets. I generally don’t even use a knife. I just snap off pieces from the head until they’re the size I want. Chop up the steak into small cubes and drop them in the cast iron skillet with some olive oil. Season with salt and cracked pepper. While the meat is browning, chop the onion, garlic, and green pepper—adding them once the meat is cooked. Season with paprika, oregano, and crushed red pepper flakes (use less if you don’t like spice). Cook that until it starts sizzling against the pan and caramelizes a bit. Then deglaze the pan with the broth. Scrape the bottom of the skillet to incorporate all the yummy flavors at the bottom. Add the tomato sauce and cook. Reduce the heat to low and stir in the peas. Cook for another 10-15 minutes until the peas are done. 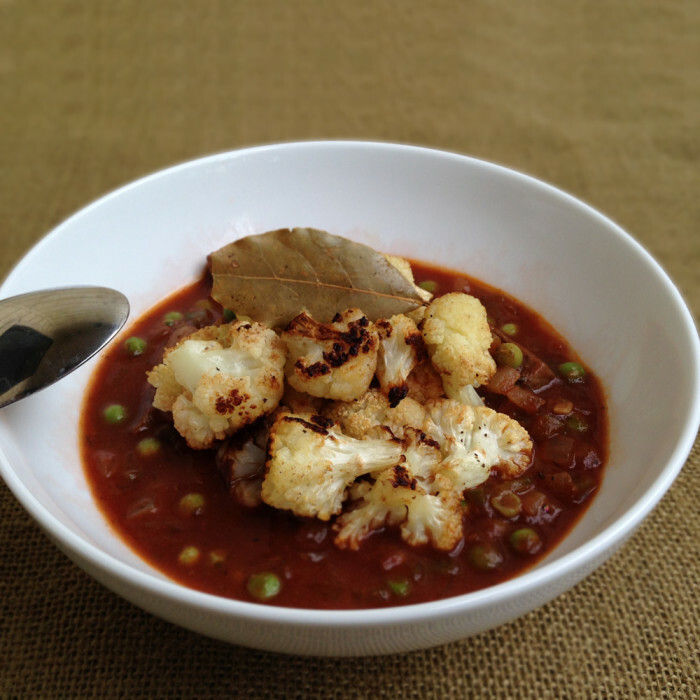 Spoon the guiso into a bowl and add the cauliflower on top. Eat with a spoon. Serve it with a side salad or eat it as is. 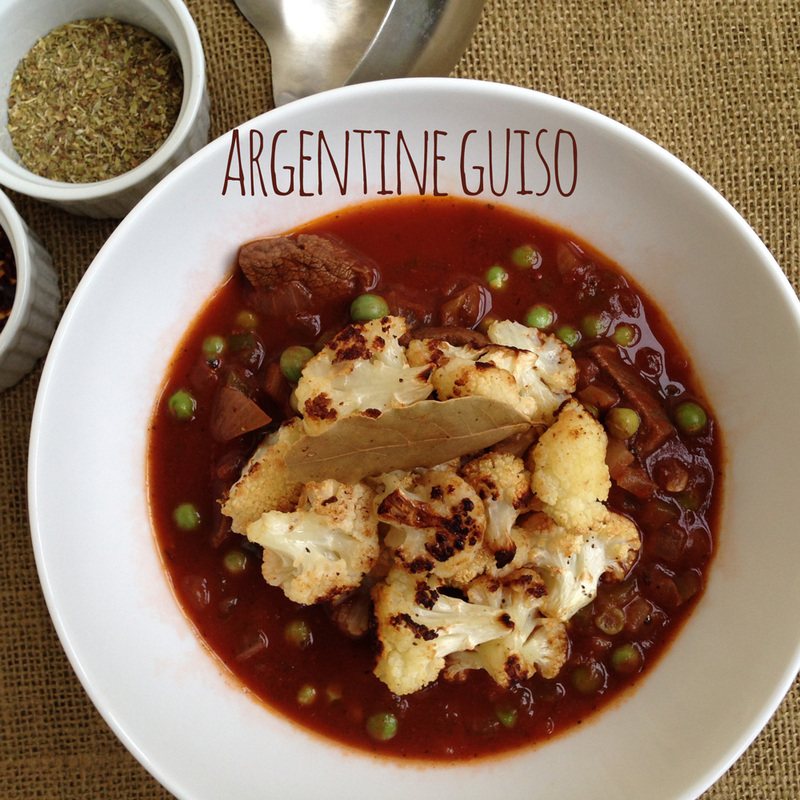 This paleo Argentine guiso has lots of veggies and lots of substance.